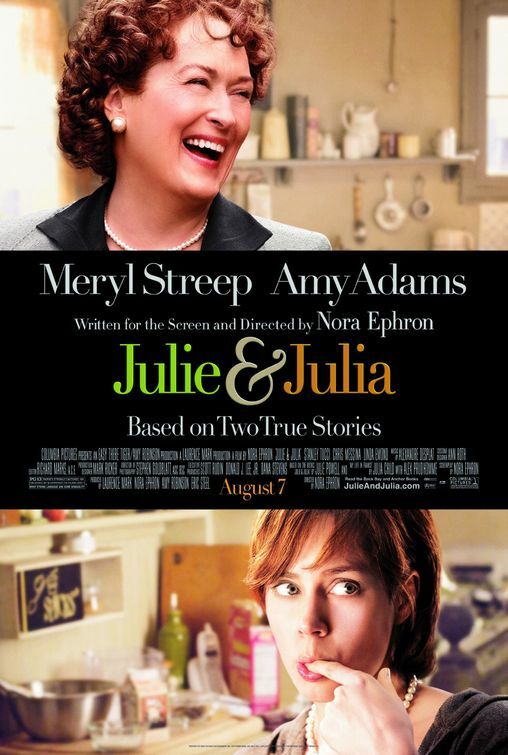 I want to start tonight by talking about the movie I watched last night, Julie and Julia. I could not stop smiling through the entire movie! And I couldn’t stop thinking about all of the things I love to eat and can’t, oh and how much I LOVE butter LOL. What a wonderful movie. It totally validated everything I love about creating Girl Gone Healthy. As I was falling asleep, and thinking of butter, my thoughts wondered to Paula Deen. I dreamt that I came up with the Tera and Paula Project, met Paula Deen and created my own show on Food Network! I dreamt that I cook my way through Paula Deen’s cookbook, only I made the recipes healthy. It was a glorious dream, wish you could’ve seen it! Paula Deen if you’re reading email me! I would love to cook my way through your cook books!!! Are you ready for some football?!!!!! I am sooooooooooooooo happy that the Colts are going to the Super Bowl!!!! Wah whooooo! Saints are still playing but I’m feelin’ good! I didn’t just spend the day watching football though ;). My morning started with a grueling Kickboxing session with Lea at the gym! 1 hour class, 700 cals burned, 200 max heart rate and 170 was my average……I’m pretty happy with that and I was mighty sweaty. I came home and re-fueled with a mini Amazing Grass shake! I used my blender ball to make this! I love that little gadget in a pinch! Shake and enjoy! I miss the Spinach in my shake and Lord knows I need it. I have Iron issues, and we are going to cover Iron tonight in our Pledge 20 section. Kitchen construction resumed today and that meant I had to help the hubby move the old tired fridge out of the house……now that’s a work out! I should’ve strapped on the Polar F7 to see how many calories that chore burned! Since I was in the mood for football, I decided some good ol boy comfort was in order for lunch! Of course I microwaved it a la Lean Cuisine…. Salisbury steak with mac and cheese. It was ok….not as good as mine, or Paula Deen’s I’m sure, but I couldn’t finish it. I guess that’s a good thing, and it made me want a nap…..which I indulged in! We had a nice lazy Sunday, with construction noise in the background LOL. After my nap I made a cup of tea and snacked on a GLOW Gluten Free Snickerdoodle cookie! These cookies ar HEAVEN on earth! Please check out http://www.glowglutenfree.com/ Jill and her crew are so delightful! They’ll truly make you GLOW! Today is Day 24 and the buzz is all about Iron. I have found some really great info on Iron and Iron Deficiencies. Below you’ll find RDA (Recommended Daily Allowances) plus what exactly Iron is and why you need it! I hope you find this section to be helpful, and I encourage YOU to share any additional information YOU may have or find on Iron! Remember this is gathered research, I am not an RD or a doctor! Should you have further questions please consult your physician! Here we go…. The iron absorption by body depends on the form of the iron. The iron from animal sources, known as heme iron, is absorbed easily by the body. The iron found in vegetable sources, known as non-heme iron, is less available to the body. The amount of iron absorbed from vegetarian foods is around 1 – 10% , while it is 10 – 20% from animal foods. Eating of iron rich foods removes iron deficiency. Good Enhancer Foods for Iron Absorption: Combinations of foods such as beans and tomatoor tofu and broccoli result in good iron absorp tion. In general vegetables such as broccoli, brussels sprouts, capsicums, potato, tomato, etc. and fruits such as cantaloupe, grapefruit, strawberries, orange, etc. enhance the iron absorption. If you have iron deficiency, and you are advised to take iron supplements , then you should keep in mind that iron supplements may be fatal for adults when taken in doses of 200-250 mg/kg from body weight. The upper limit for iron as recommended by the Food and Nutrition Board of the Institute of Medicine is approximately 45 mg daily for adults. Pennington J. Bowe’s and Church’s Food Values of Portions Commonly Used. 16th ed. Lippincott-Raven; 1994. Pretty interesting huh?! I found out that I had iron issues when I was pregnant with Zachary. I make sure I take in my RDA and my levels have evened out, and my body actually absorbs it better. I also feel soooooo much better and not so anemic after having and Amazing Grass shake! Take advantage of 15% off your purchase of Amazing Grass by using the coupon code HEALTHY123 and clicking on any of the Amazing Grass links to the right! I’m off to watch this crazy overtime in the Saints/Vikings game!!! Have a great night and a wonderful Monday!